We are very grateful to have Sherrien and her assistants at our wedding. Her team was on point, we didn't worry about anything and just enjoyed our night. She also MC'd in English and Mandarin with an energetic and bubbly presence on stage. There were some minor issues with differences in tastes during the planning process but in the end, she executed things flawlessly. She was always very timely in her responses to emails which is so important. Would definitely recommend Twogether Events, she knows her stuff! 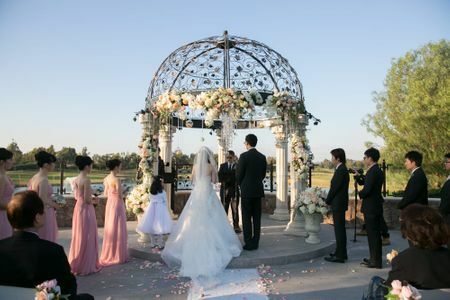 We hired Sherrien to be our officiant, and she couldn't have done a better job. 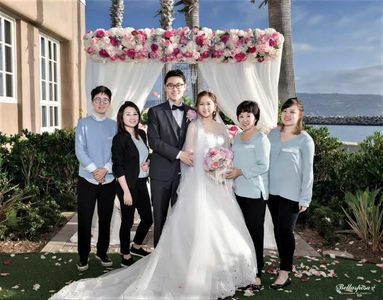 She was very organized in helping us to plan our ceremony, and incorporated Chinese into our ceremony for us (my wife is Chinese, so many members of her family don't speak English). After this, I really wish we had hired her to plan and coordinate the wedding. While our wedding ultimately went off without any problems, we planned the wedding ourselves, and this was an extremely stressful experience. I probably would've enjoyed the experience of planning our wedding more if we had hired someone like Sherrien to plan it. For those looking to get married, the first thing you should do his hire this team. They are top notch! 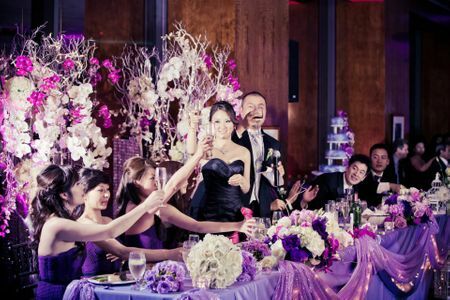 Sherrien Shui is extremely experienced on all types of wedding planning. 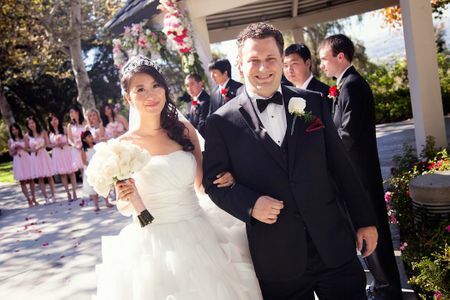 My wife and I were apart in different states (CA and NJ) and both of us were working so it was nearly impossible to prepare our wedding without Sherrien's help. It was very easy to work with Sherrien because she was very responsible and could pick up our thought very quickly. She is so experienced so she knew exactly what we wanted and provided so many ideas that we had never thought of. She always considered the best interest of her client by explaining the pros and cons for each idea during the course of planning so we felt very secure. Our wedding was incredibly gorgeous and full of touching moments. We received tremendous amount of compliments from our guests. Sherrien also did an amazing job being our reception emcee. 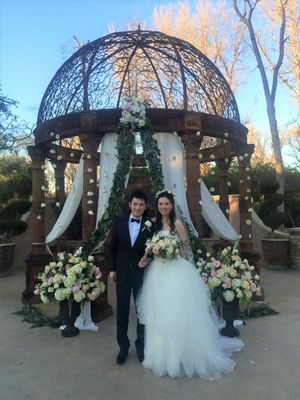 Khanh and Polly were so helpful taking care of a lot of coordination works and being our wedding day coordinators. Overall we had a very pleasant experience working with Twogether Events. We will definitely recommend Twogether Events to other people! Sherrien coordinated our wedding in May 2016. She was great throughout the whole process. She was professional, reliable, and quick to respond to all the emails and phone calls. Her suggestions and advice was really helpful and saved us so much stress and money ultimately. On the day of wedding, she brought 3 additional staff members to help assist with everything. Sherrien and her team was on top of everything and made it so much easy for my husband and I to feel calm, relax and enjoy our big day. Our wedding went perfectly and successfully. We thank Sherrien and her team for all her hard work and consideration in making our wedding day amazing. Thank Sherrien and her team for planning, coordinating, and hosting my wedding. 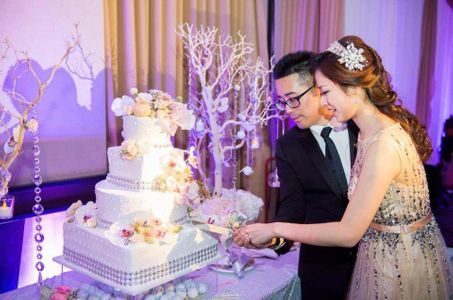 Without their hard work, it would be impossible to have this cozy and heart warming wedding for us and our guests. Wonderful team; pay a lot of attention on details. Perfect!!! Again, thank to Sherrien and her teams Sylvia, Doris, and Kylie. Having Sherrien as my wedding MC and her wedding planning team as the coordinators, this is the best decision I've ever made in one of the most important things in my life so far! 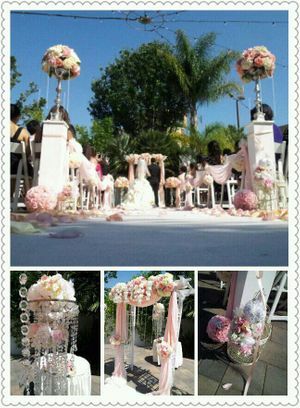 Me and my wife May could not ever think about who can do the job right on the biggest day with reasonable price, qualify of the work, professionalism, many and many! Sherrien and the wedding planning team had total control of my wedding date, all my guests are impressed with great memories, and this is exactly what we are looking for on such an event. 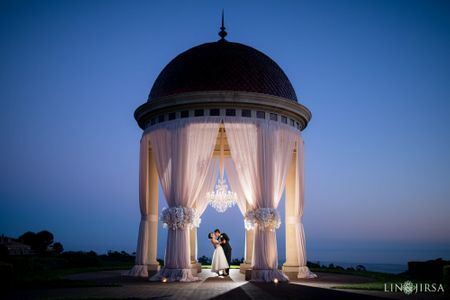 Not only they have the quality to do the job, also they have qualified vendors and referral connections on venues for you to choose. 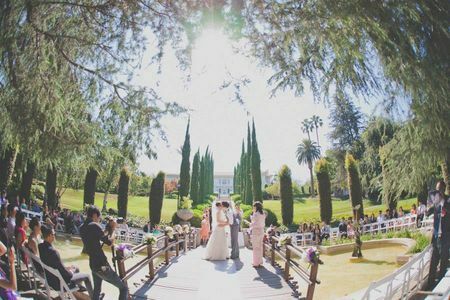 It is amazing how we picked the venue through Sherrien's help. So put it all together, we had a wonderful and beautiful wedding done with Sherrien's help. She and the crew is the smartest choice for any wedding events! We decided to hire Twogether events as our wedding planner from all the recommendation we received and it was the best decision we've made. 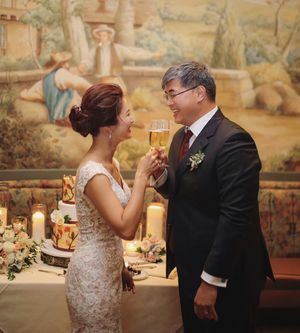 Everything went absolutely according to plan and all of our guests had nothing but praise to say about how elegant and beautiful the wedding was. Twogether have our 100% approval and recommendation! Thank you for your team's professionalism and hard work, we are very satisfied! 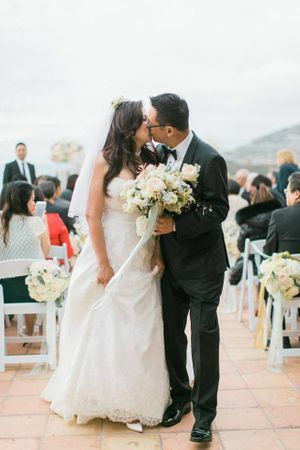 It was the best decision to hire Sherrien as our wedding planner. She is very professional and experienced on all wedding stuff. We basically asked her everything about how to prepare a wedding, and she always response ASAP and provide valuable suggestions. And she helped a lot when we book the vendors. You can tell Sherrien really cared about her customers. And our wedding turned out just perfect. We got a lot compliment from our guests and one of the guests signed a contract with Sherrien after our wedding! 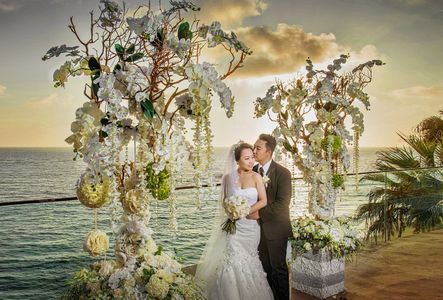 I will absolutely recommend Sherrien and Twogether events to all the couples who want a perfect wedding. Here is our wedding video made by Ailey Artsy. 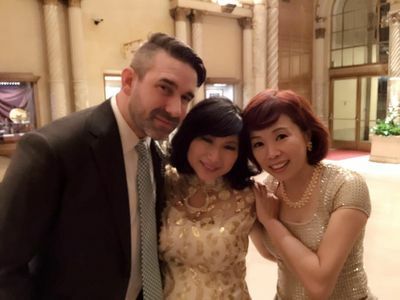 I met Sherrien when I was a groom's men for my cousin's wedding a few years back and decided to go with her for my own wedding for this past weekend since she is fluent in both Chinese and English. Definitely the best decision. My wife and I procrastinated a lot and Sherrien was always there to remind us of the things that needed to be done and kept us organized. Since I work really late, I sometimes didn't get around to working on the wedding until really late at night and was very surprised that she was there for us answering our questions in a very timely fashion. 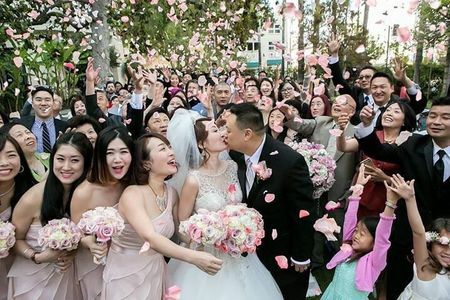 Also since my wife is Korean and I am Chinese, our wedding was packed with cultural components which all went really well and the whole day and night went by without any hiccups. We have received so many compliments from our family and attendees and many were regarding Sherrien's professionalism.